Water in the fountain was finally turned on this week. One of my favorite subjects to photograph in the city made to look as I imagine it looked about 100 years ago. 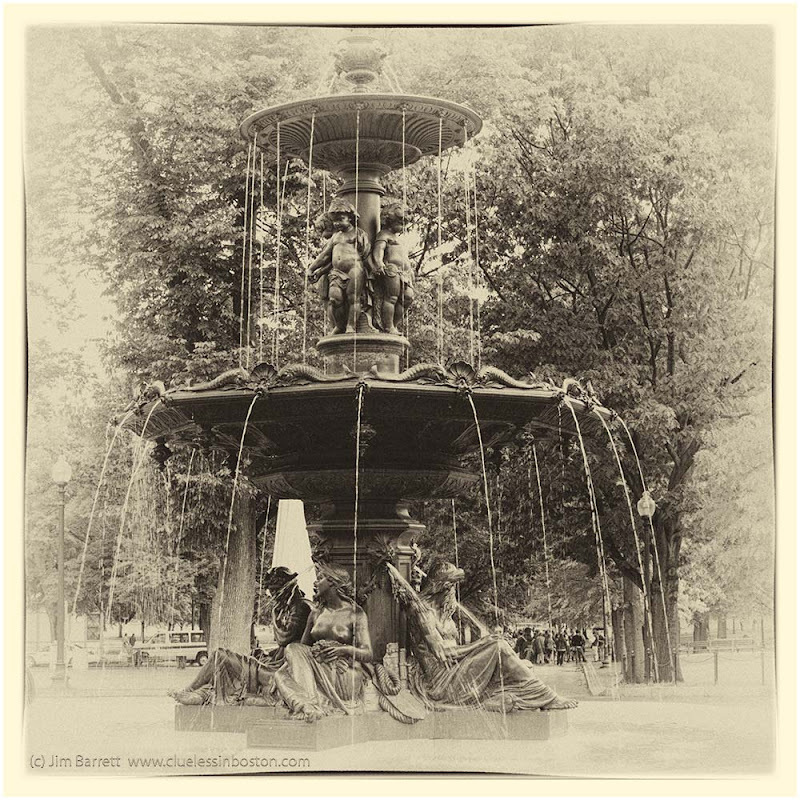 The 22-foot-tall, 15,000-pound bronze fountain, cast in Paris, was a gift to the city of Boston by Gardner Brewer in 1868. Copies of the fountain were made for the cities of Lyons and Bordeaux, and a copy was made for Said Pacha, a Viceroy of Egypt. Unfortunately, the Brewer Fountain is the only known surviving copy of the original featured at the 1855 Paris World Fair and designed by the artist Liénard. The fountain is decorated with the figures of Neptune, Amphitrite, and Acis and Galatea from Greek mythology. Outstanding, Clueless. This photo looks ancient. Nicely 'aged', but does it dispense beer? Thanks for today's mythology lesson.